Revolutionary, high quality Jitsie Race stem made by innovative Belgian brand Jitsie. 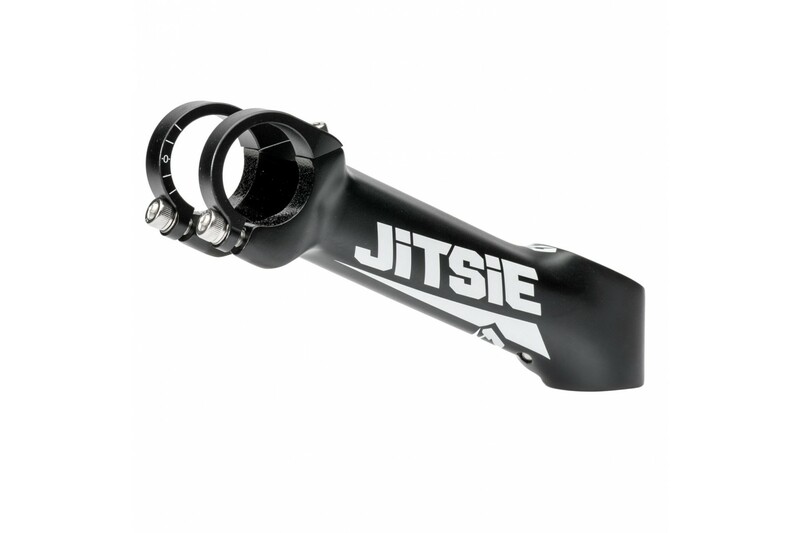 Exclusive Jitsie Race design, with special orientation of both the handlebar and fork clamps. 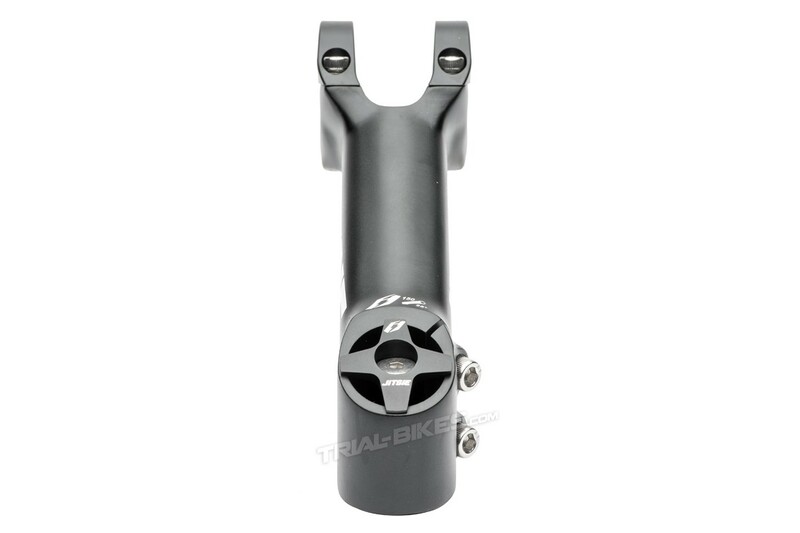 Features a sloping steerer clamp offset to the right, which allows the bolts to be integrated into the stem and prevent any impacts with the knees while riding. 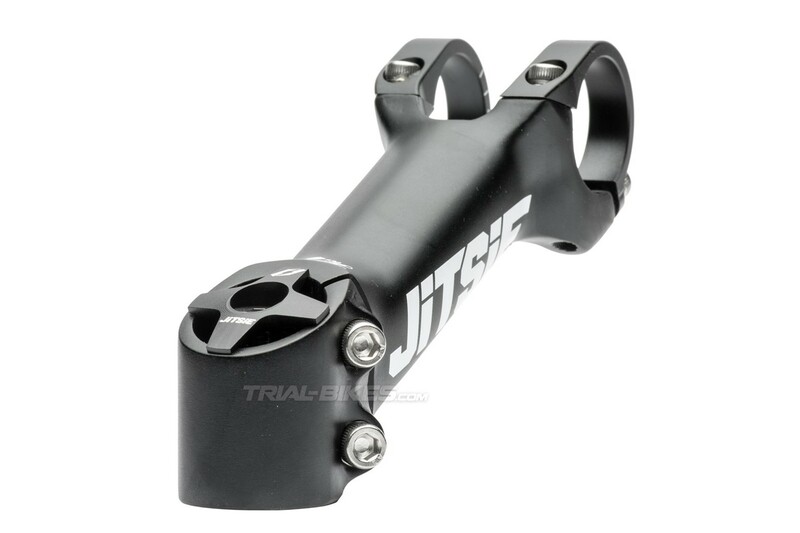 - Revolutionary, high quality Jitsie Race stem made by innovative Belgian brand Jitsie. - Exclusive Jitsie Race design, with special orientation of both the handlebar and fork clamps. - Features a sloping steerer clamp offset to the right, which allows the bolts to be integrated into the stem and prevent any impacts with the knees while riding. 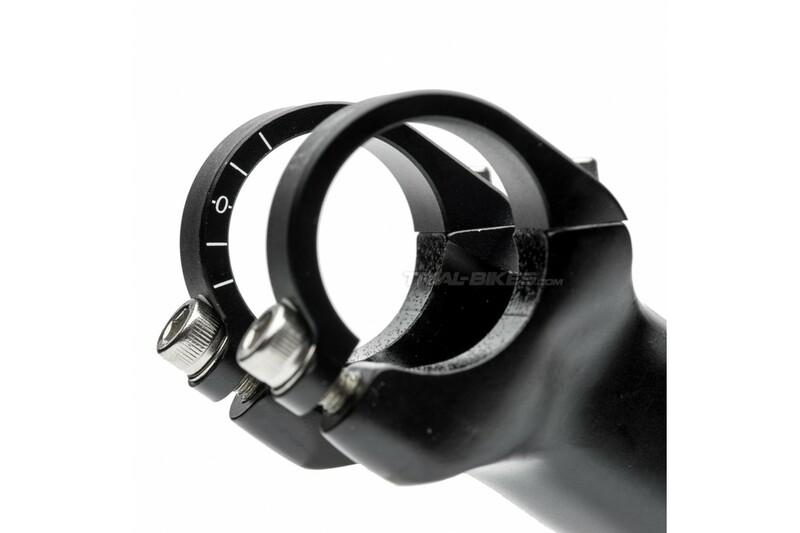 - The handlebar clamp also has a unique 4-bolt design: the 2 top screws bolt vertically until the clamp makes contact with the body, whereas the 2 bottom screws must only be tightened until the handlebar is kept in place. - Main body is 3D Forged from ultralight 7050-T6 aluminium alloy, with 7075-T6 handlebar clamps for the perfect strength to weight ratio. - Compatible with any Oversized handlebars (Ø 31.8mm). - The handlebar clamp area of the stem body has an anti-slip treatment to make sure the handlebar is kept in place. - Supplied with an ultra-light Jitsie CNC top cap, with its own steel bolt. - Available with 25º rise in two lengths: 130mm or 150mm long. - Black with white laser etched Jitsie graphics. - 218g (130mm x 25º version), 222g (150mm x 25º version), including steel bolts, plus top cap at 4g. The 2 top screws in the handlebar clamp bolt vertically, until the clamp makes contact with the body, whereas the 2 bottom screws must only be smoothly tightened until the handlebar is kept in place. Maximum torque is 4Nm. Any damage caused to the threads or clamps by over tightening the bolts wont be covered under any warranty.